First off, I didn't watch the debates tonight. I find political debates to be more akin to rehearsed speeches than engaging in dialogue. But my Twitter stream was filled with tweets about the presidential debate. Tweets were all over the place. But Big Bird got a lot of space. Apparently there was a comment about removing funding for PBS from the budget. This is just the thing that savvy nonprofits can use to raise millions of dollars. NPR has used this in the past with Ira Glass doing spots during news shows when Congress threatens funding. And Planned Parenthood is the master at this. They raised an additional $3 million during the flap with Komen. As you can see in the tweet above, the Twitter user @librarianry had a great idea: "Who has started 'Save Big Bird' t-shirts?" That reminded my of Peter Shankman's story about printing t-shirts when Titanic was released that said, "It sank. Get over it." He sold out in hours. Better still media loved the story. Whether you're for or against any of the presidential candidates (there are more than two), PBS supporters could do this here. They could print t-shirts. And ask for gifts. Telling people "we exist because of your small gifts" isn't convincing. But rallying them to "Help us save Big Bird" would get lots of support. Start with the t-shirts but use them to tell the story. If done in a fun, tongue-in-cheek manner, media outlets and social media users will amplify this for at least the next few days. PBS could drive people to a landing page that sells the t-shirt or offers a "make a donation" option. It'd be cool to have an autotuned message there in the spirit of Mr. Rogers' "Garden of Your Mind" or Bob Ross' "Happy Little Clouds. NPR and other public media might be able to piggyback on this and amplify it further. I believe learning to catch the waves of public interest is an important part of a healthy fundraising program. What do you think? Is this kind of opportunistic fundraising helpful to nonprofits? Or does it damage the brand? Leave a comment with your thoughts! It is definitely an opportunity. However, I think it would be a mistake to use the Big Bird 'brand' in a 'Save Big Bird' pitch. It's always tricky when it comes to children's properties, and you don't want to turn off a big group of parents who might see it as a political commentary as well as a fundraising move. I do think it is a good time for PBS to remind folks the impact that PBS children's programming has and how the world would be a poorer without it. That's a great point, Bill. Politics can be a livewire. Joanne: I wonder. I'd think so too...but from what I heard neither candidate was interested in, dare I say it, truth? They were both speaking to their base. So judging from the comments on other social media sites, he knew exactly what he was doing. Don't let Romney eat Big Bird for Thanksgiving! Get your SAVE BIG BIRD 2012 t-shirt today! Get 'em at http://www.SaveBigBirdNow.com -- Support Big Bird!!! 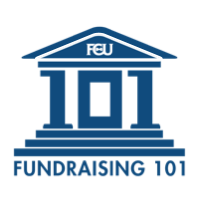 I totally agree that opportunistic fundraising is an important part of a strong fundraising program! The "Save Big Bird" campaign that you suggested would help galvanize small-dollar donors and clearly show how their support really impacts PBS. If well-executed, these kinds of responsive campaigns can strengthen organizational brands and deepen loyalty among supporters. Great post! Any ideas on how to move it away from partisan politics? Or is that just part of what's required for this to work well? In this particular situation, it's virtually impossible to avoid the partisan politics. For PBS going forward, I think it may tend to remain partisan overall, as the Democrats tend not to propose cuts to PBS, though I think this sort of approach must be used sparingly so as not to become The Boy Who Cried Wolf. Good analogy. People will stop listening!